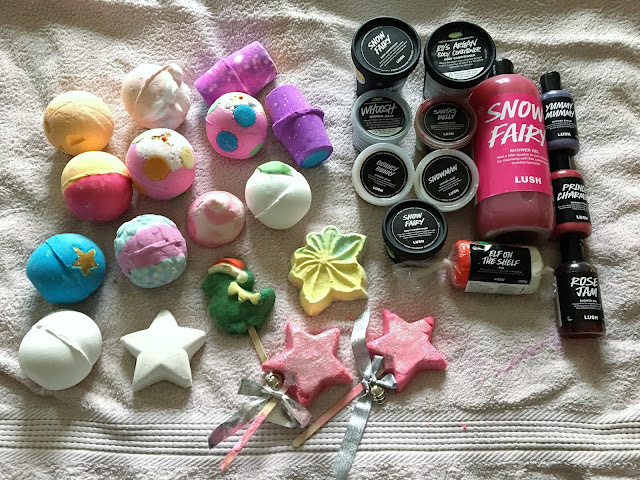 Recently, I've amassed quite the collection of Lush stuff, from bath bombs to body conditioner, and I know how many of you are fellow Lushies. 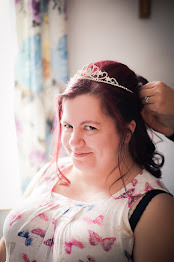 So I thought, why not share my current collection right here on the blog? 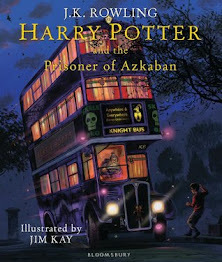 You'll notice that most of my current products are from the Halloween or Christmas range. That's because, before these lines were out in stores, I had loads of regular products that I decided I needed to use up before the new lines came out. Before my Lush collection grew completely out of hand, just like my book collection has! So, without further ado, I present to you my current Lush collection! 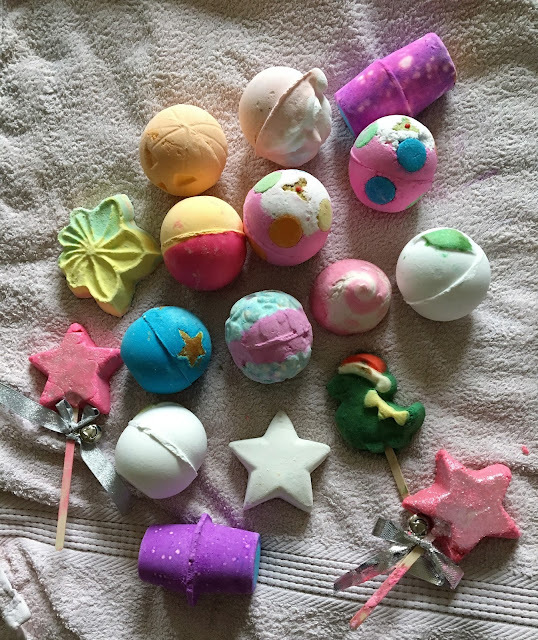 I thought I'd start with the bath bombs and bubble bars. A lot of these I'm trying for the first time, believe it or not! Like Magic Wand. I can't believe it's taken me this long to try this well loved bubble bar! I was extremely fortunate to get some of these in the Lush half-price sale. I didn't think there'd be anything left when I got to a store the day after Boxing Day. But I picked up another Magic Wand, Northern Lights, So White, and Luxury Lush Pud! Plus Autumn Leaf, which might actually be my favourite bath bomb, to be honest. As you can see, I've still got a few shower gels, creams and jellies from the Mother's Day, Valentine's and Easter range. I am the worst at buying new Lush stuff when I haven't even finished the old! So that's my current Lush collection. I'm forever picking up new stuff when I'm near my local store, so I might do another post like this in about six months time, when my collection has changed again! What do you think? 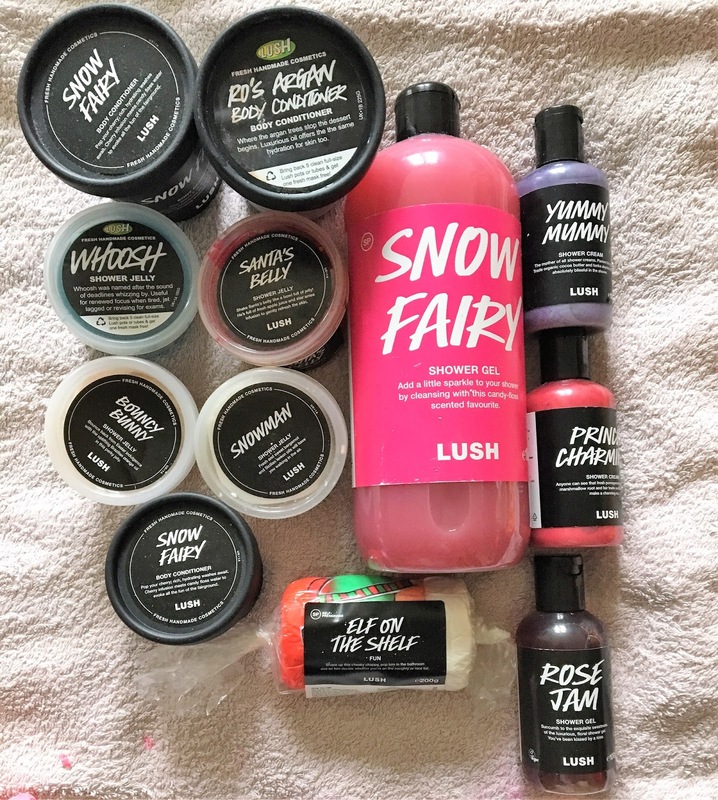 Should I post my Lush collection twice a year? 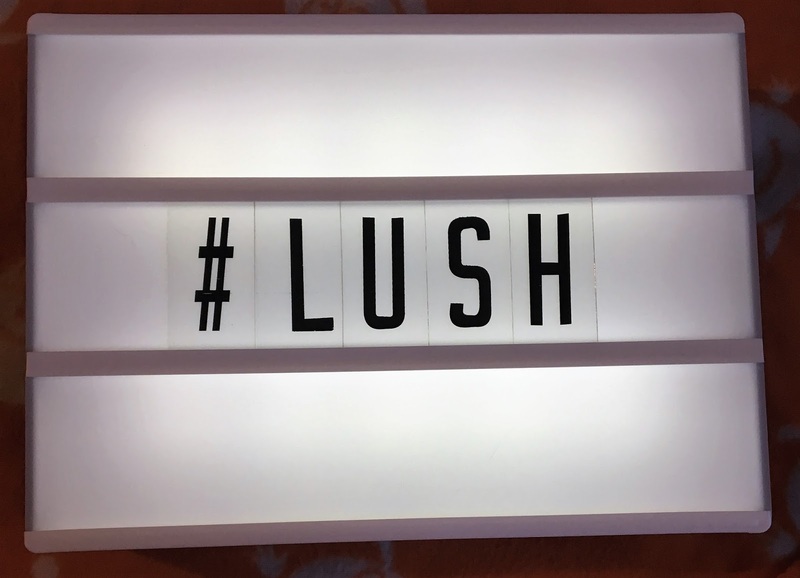 What was your favourite Lush Christmas product? Oh my gosh! I thought I was bad for buying lush but ice got nothing on you Haha! Love the collection, am well jeal! Thanks! The Magic Wand is ace. Life Lately - March Edition!